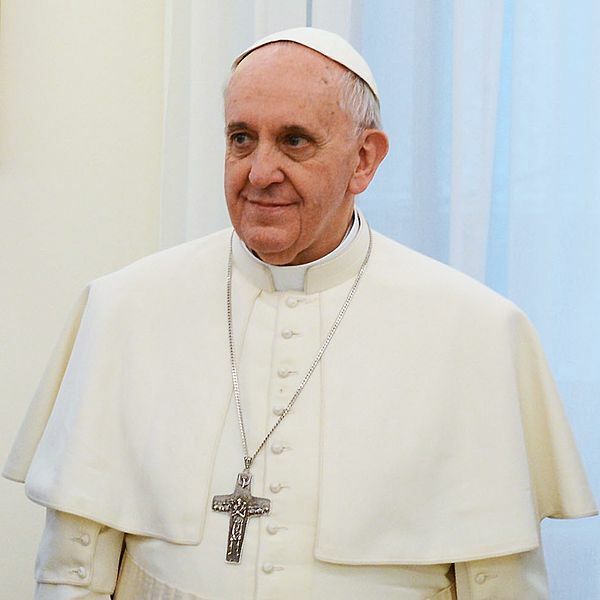 Pope Francis has issued an apostolic exhortation, Evangelii Gaudium, in which he made comments about economics that merit serious discussion. It has been widely reported that he has criticized “trickle down” economic policies and the unregulated free market. Unfortunately, some of these comments were taken out of context, and some pundits and organs of the major media have interpreted them to be a revision of Catholic social teaching on economic matters. First, it should be noted that the Holy Father explicitly denies that his remarks are a revision of Catholic social teaching, and he specifically refers the reader to the Compendium of the Social Doctrine of the Church. In one respect, his criticism of certain economic policies and practices is no different whatsoever from traditional Catholic social teaching, insofar as he stresses, as the Magisterium of the Church has constantly stressed, the importance of the dignity of the human person and the necessity of avoiding a secular materialism which amounts to not only idolatry, but a coarsening of one’s sensitivity toward the welfare of one’s fellow man. Pope Francis’ criticism of an unregulated free market is also completely in conformity with traditional Church social teachings. For any effective free market to work efficiently, there must be a rule of law, which is what distinguishes morally ordered liberty from anarchy and license. A problem emerges, however, when the Holy Father criticizes an unregulated free market as if such a thing exists anywhere in the world today. To which free markets does he refer? I, for one, am concerned that there has been a longstanding misapprehension about the free market system among many people in the Catholic Church. I remember vividly Catholic clergymen and nuns who took sides with communist revolutionaries in Central America in the 1970s and ‘80s out of their opposition to economic injustice in selected Central American countries. It was assumed that many of the leading families and businesses in these countries were the instruments of a fundamentally unjust capitalist system, and that this was how “free enterprise” worked. The problem then was that the economic system in those countries was far from being a free enterprise system. It was closer to being a system of economic oligarchy or dirigisme. It was a system where massive government regulation (a system imported to Latin America by colonial Spain) set the stage for pervasive corruption. One could not do business without having to procure an inordinate number of government licenses and permits. The bureaucrats who issued these permits had a built-in incentive to delay their issuance, and, as a matter of standard practice, demanded bribes to release them. The people who were able to conduct business were therefore not those who could offer the best product at the lowest price, but those who were ready to bribe (i.e. cheat) or who had connections. This is not free enterprise — it is corruption. This is not capitalism — it is crony capitalism. It is fundamentally unjust, and those who opposed it on grounds of injustice were right. But the result was that economically uninformed but compassionate clergy and religious became unwitting supporters of the replacement of one unjust system with a system marked by even greater injustice and human suffering. I hope that illusions about what constitutes a free market system are not what will drive the discussion about just economic policy — whether in the Catholic Church or in our own policy making in America. This entry was posted in America, by John Lenczowski and tagged capitalism, Catholic social teaching, economics, Evangelii Gaudium, free enterprise, free market, Pope Francis on December 7, 2013 by John Lenczowski.